It’s no secret that people love to travel. It’s one of the world’s most popular hobbies/pastimes. But on top of travel, people are keen to mind their budget. That means having the financial means to travel without worrying too much about their wallets is a major market that doesn’t get enough attention. 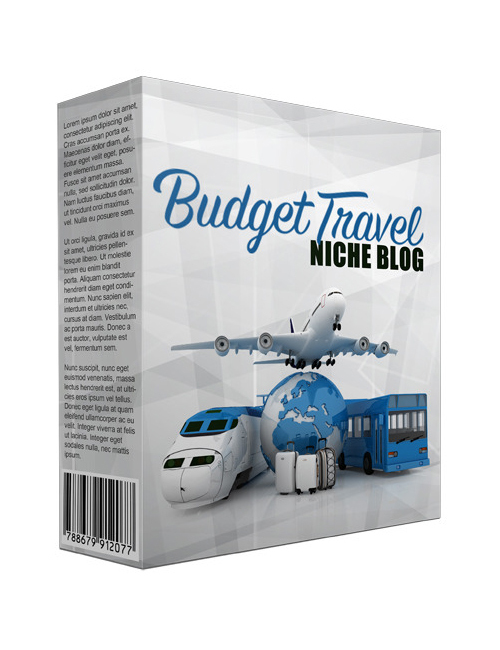 With this ready-to-go blog template, you can be a considerable voice and brand in a niche which can help people gain the information they need when it comes to budgeting, saving, and understanding everything they need in order to travel without worries. There are enough blogs and sites out there that touch on the best holiday destinations but not enough on how to travel on a budget. Millenials and the generations to come are either travelling and will be travelling a heck of a lot and so now is the best time to attack in a niche that will not be slowing down anytime soon. At least not in this lifetime. If you’re ready to kill it in a huge niche with your own budget travel blog and make good money, grab this template now. All ready to download and publish.